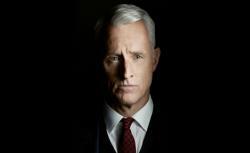 Mad Men recap: Roger says "impactful." Is that a gaffe? Mad Men recap: Roger says “impactful.’ Is that a gaffe? I bet Weiner and co. checked it out first before having Roger say it. Whew! I am glad to know Roger is as nimble with au courant jargon as he is with jokes about Judaism. I’ve got to start carrying less cash.